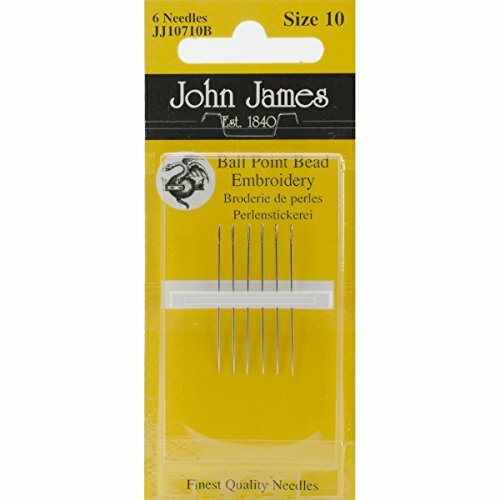 This beading needles are made of premium grade nickel plated steel. Very long thin needle with a narrow eye to easily slip through the smallest of beads. They are usually long so that a number of beads can be threaded at a time. 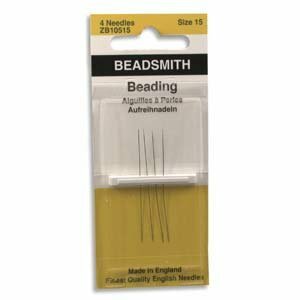 Great for fine bead work. Available in size 10/12 with comes in pack of 6 needle. COLONIAL NEEDLE-John James Beading Tapestry Point. Needles are shorted in length and have a tapestry point (blunt). Size: 10. 6 per package. Made in Japan. 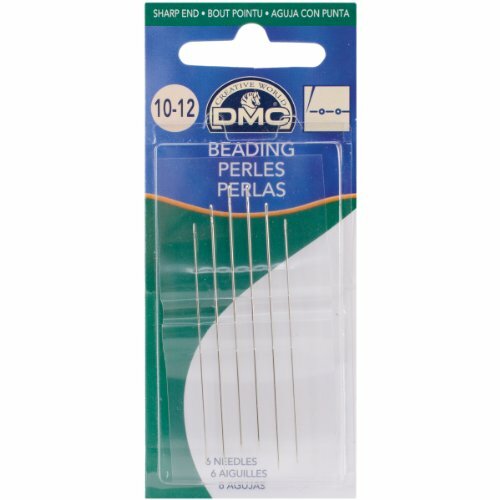 Darice Flexible Beading Needles are the perfect toll for your needlework project. It consists of 12 Piece. The product is 3.5 Inch. Flexible Needles. Made with finest quality nylon fibers, available in over 30 beautiful colors including shaded and variegated. 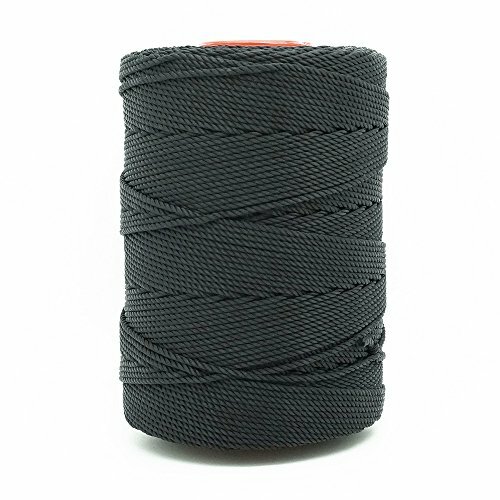 Thread is twisted to help eliminate stray fibers, maintain strand consistency, and enhance the brilliant colors of the product. The cord will also burn beautifully for strong and nice finish (by using any kind of fire - lighter, candle etc). 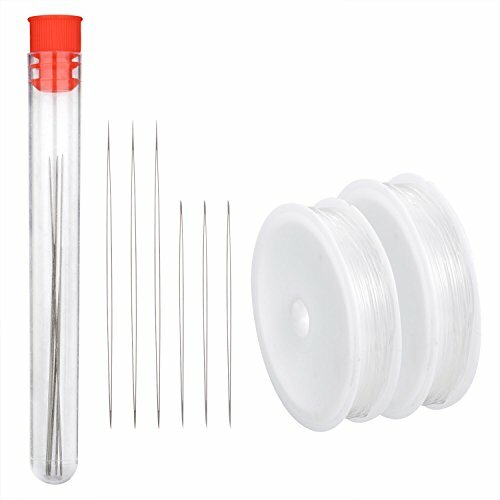 Eye needle beading needles with bottle and 2 roll 2 sizes elastic beading cord Storage box: These eye needles are held in a clear plastic bottle, easy and convenient to store and classify, in case the incisive needles will hurt you or they will get missing. Wide range of usage: You can use the needle and cord to make some crafting projects, DIY some small items, or you can use them to make some jewellery, such as necklaces, bracelets and rings. Specifications: Needle lengths: 5.5 cm/ 2.2 inches and 7.6 cm/ 3 inches Needle material: metal Needle quantity: 6 pieces Bottle size (LWH): 1.2 x 1.2 x 11 cm/ 0.47 x 0.47 x 4.33 inches Bottle material: plastic Bottle color: clear Bottle quantity: 1 piece Cord diameter: 0.4 mm/ 0.016 inch and 0.8 mm/ 0.03 inch Cord length: 23 m and 6 m Cord quantity: 2 rolls Package includes: 6 x Eye needles (2 sizes, 3 pieces in each size) 1 x Storage bottle 2 Rolls of elastic beading cords Note: including incisive parts, please keep away from kids. COLONIAL-John James-Beading Hand Needle. These needles are used for sewing beads and sequins to fabric. Long thin needles. 4 per package. 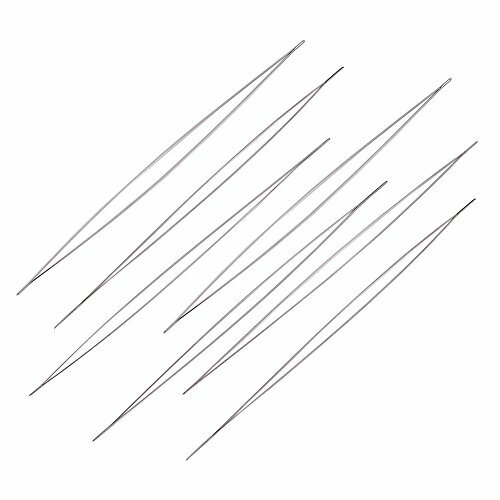 Durable metal material: these big eye beading needles are made from good quality metal material, can use for long timeLightweight and fine thickness: lightweight for use and carry, fine thickness can provide you with durabilityBig eye is flexible yet strong and accommodates most thread types and bead sizes. Needle can be used for any style of beading.Service: If you have any problem, please leave us a message. We will respond to you within 24 hours. If you are not satisfied for any reason, please feel free to contact us, We will do our best to solve the problems. Looking for more Hand Beading similar ideas? Try to explore these searches: Medley Shade, Washer White Timer, and Channel Effects. Shopwion.com is the smartest way for comparison shopping: compare prices from most trusted leading online stores for best Hand Beading, Marcasite Spacer, 512 Mb Memory Module, Beading Hand . 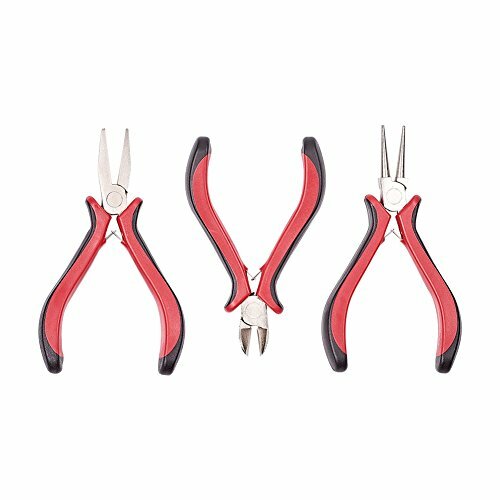 Don't miss this Hand Beading today, April 20, 2019 deals, updated daily.